Welcome your first years with an app that has it all. 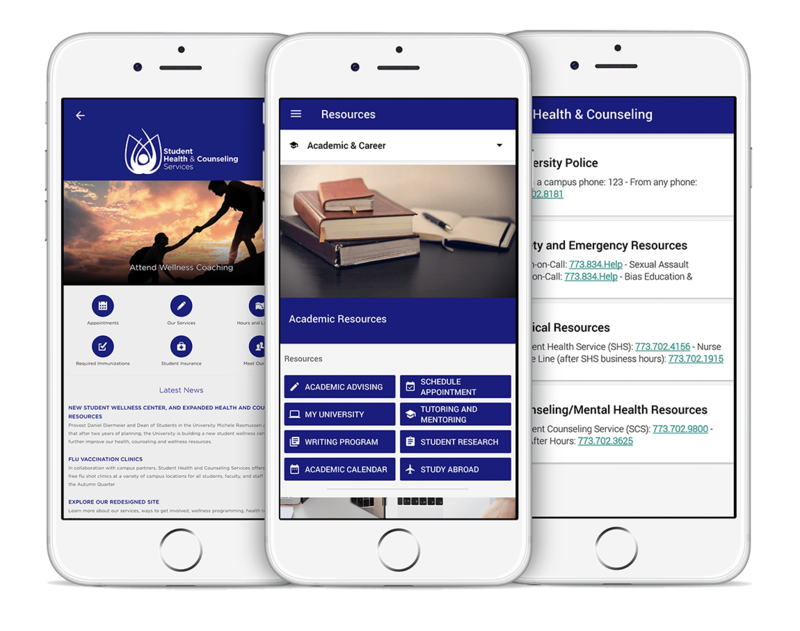 Increase exposure to campus resources with a mobile interface. Build new connections within your student community with modern social capabilities. Admin tools that keep you and your students on the same page. Orientations. Family Weekends. Student-Org Fairs. Meet students where they are by distributing event info through an app. Students today can’t be bothered with physical booklets and flyers. 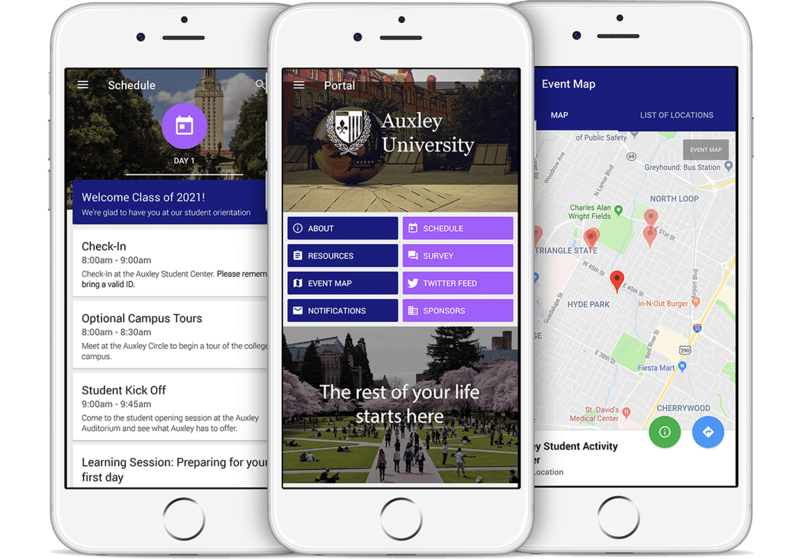 A mobile interface for your events guarantees higher engagement and ensures that your students are well informed. Universities offer amenities to drive student success. Unfortunately, a lot of these resources don’t get exposure and end up underutilized. Fix this by introducing all that you have to offer in an accessible mobile app. Amplify connections within the student community. A student's involvement within their community is key to student retention and success. 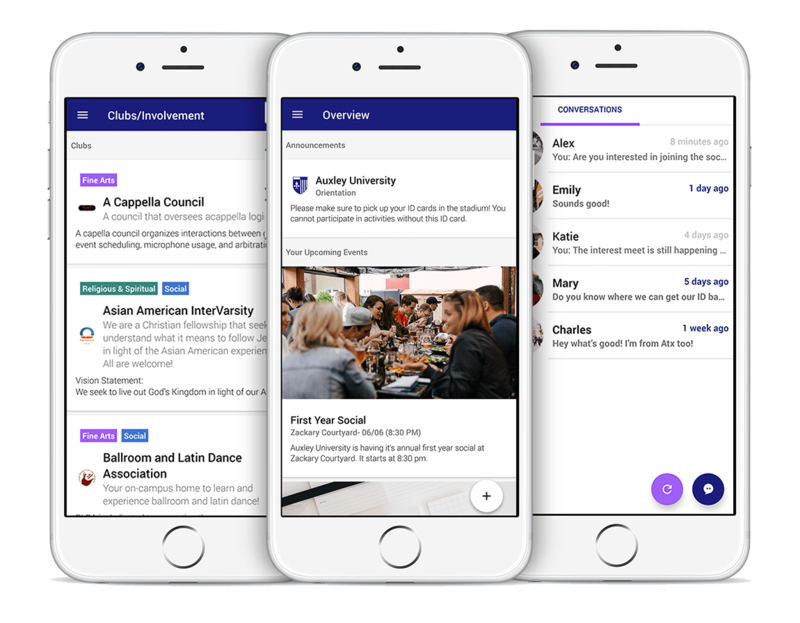 Equipped with chat, groups, and campus profiles, the Campus Community App offers all the capabilities of a modern social network. This enables your first years to connect with student orgs and chat with peers who have shared interests. Sending relevant content to the right students is a key part of any engagement strategy. By utilizing custom-made student categories, you can target your communications to specific student groups - by year, name, interest, or more. Get key insights into student engagement patterns and adapt your outreach strategy in real-time. Get the full picture and never be in the dark again. Adapt your app in real-time to ensure that your content stays up to date. Our content management system is still slightly limited, but gives you the ability to have control over your student-facing resources. UChicago's app allows students to self-organize and develop a sense of community before even reaching campus. The app which was intended only for freshmen was downloaded by a significant amount of all attending classes. Singapore's top university is able to drive mobile engagement by creating unique digital experiences for their various programs. With the flexibility afforded by a digital platform, the team can properly set up programming for their diverse student body.